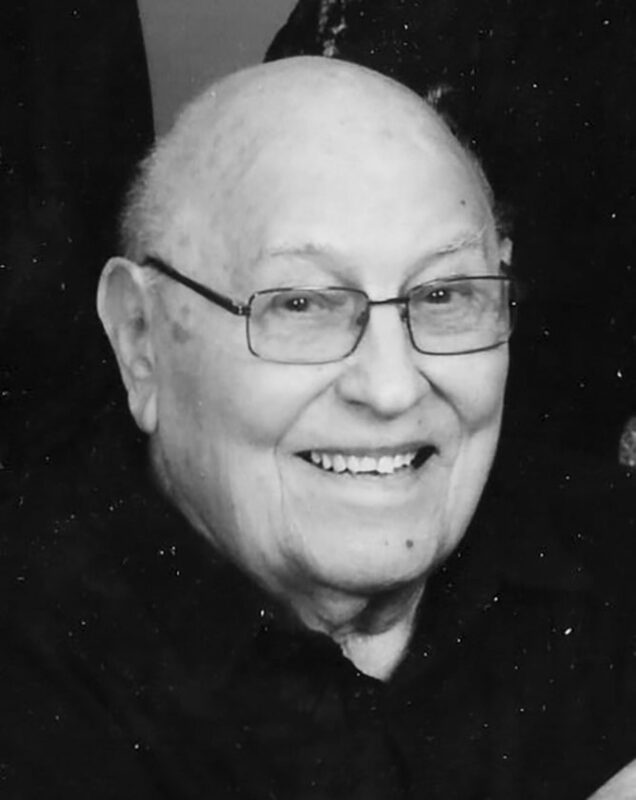 Michael Joseph DiPasquale, 98, of Follansbee, WV, passed away at 6:30 p.m. on Friday, August 31, 2018 at his residence under the care of his family and the staff of Valley Hospice. Michael was born on November 30, 1919 in Follansbee, WV. He was the son of the late Anthony and Maria (Piccinino) DiPasquale. Michael served his country proudly in the United States Army during WWII. He was a member of St. Anthony Catholic Church, Follansbee, Holy Name, Eagles and Garibaldi. Michael worked at Follansbee Steel and Titanium Metal and retired from Weirton Steel Corp. In addition to his parents, Michael was preceded in death by his loving wife of 68 years, Mary Llda (Johnston) DiPasquale; eight siblings, Elizabeth DeMattis, Hearty DiPasquale, Algy Mitchell, Frank “Babe” DiPasquale, Amy Buccalo, George “D.P.” DiPasquale; and two infant sisters. Michael is survived by his three daughters, Carolyn DiPasquale, Michele Firestone and her husband, David and Donna DiPasquale, all of Follansbee, WV; a sister, Margaret “Chuffy” Mains of Follansbee, WV; a brother-in-law, Tom Johnston of Steubenville, OH; a special niece, Terry Mains; special neighbors, John Panza and Karen Panza; several nieces and nephews, and great-nieces and -nephews and close family friends. Family and friends will be received on Monday, September 3, 2018 from 4-7 p.m. with Vigil Service at 6:45 p.m. at the James Funeral Home, Follansbee, WV (304) 527-1717, where funeral will commence on Tuesday, September 4, 2018 at 9:30 a.m.
Mass of Christian Burial will be held at 10 a.m. on Tuesday, September 4, 2018 at St. Anthony Catholic Church, 1017 Jefferson St., Follansbee, WV with Father Cody Ford, presiding. Interment will follow at Oak Grove Cemetery, Follansbee, WV with Military Honors by the WV Army National Guard and the Ohio Valley Veterans Memorial Squad, next to his dear and loving wife, Mary Llda. A special note of thanks to Valley Hospice and the Brooke County Senior Center for their support and care. In lieu of flowers, memorial contributions may be made in Michael’s name to Valley Hospice or St. Anthony Catholic Church, c/o James Funeral Home, 1245 Main St., Follansbee, WV 26037. Please add or view condolences, stories and photos at www.chambers andjames.com.